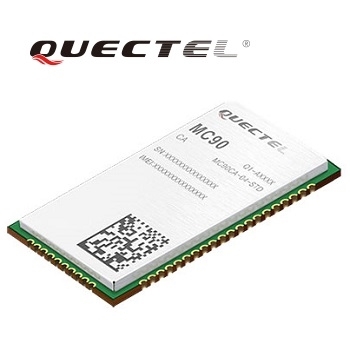 Quectel Wireless Solutions has released a quad-band GSM/GPRS/GNSS/Wi-Fi module - the MC90. 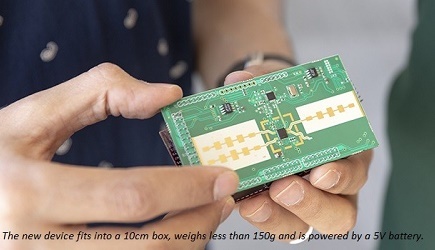 The new module supports hybrid positioning technologies including GNSS, Cell ID and Wi-Fi aided positioning, and enables position tracking in both indoor and outdoor environments. Quectel MC90 integrates multi-GNSS system, including GPS, GLONASS, Galileo and QZSS, which greatly improves the positioning accuracy and ensures that the module can track position even in areas with weak satellite signals. This makes MC90 especially suitable for urban areas with high-rise buildings and complex environments. For blind spots of satellite coverage, MC90 adopts Wi-Fi hotspot positioning technology to effectively address indoor positioning demands in scenarios such as factories, schools, shopping malls, hospitals and nursing homes. In addition, the MC90 integrates multi-aiding positioning technologies to offer customers with optimized GNSS performance. It supports EPO technology which provides predicted Extended Prediction Orbit to speed up TTFF without the need of any extra server. Based on EPO data, QuecFastFix Online function further reduces TTFF in cold start, while the EASY technology enables a very fast first fix when there is no enough satellite information. Moreover, GLP (GNSS Low Power) power saving mode ensures great positioning accuracy with ultra-low power consumption. The built-in LNA provides the module with improved RF sensitivity and exceptional acquisition/tracking performances even in weak signal areas. Based on MTK’s MT2503 platform, MC90 features compact design, low power consumption and supports dual SIM single standby function. The module also provides a rich set of Internet protocols such as TCP, UDP, MQTT, PPP, FTP, HTTP and SSL, and supports audio, QuecFOTA and OpenCPU. MC90 is an ideal choice for a wide range of IoT applications, such as bicycle sharing, student ID card, vehicle tracker, wearable device, pet tracker, asset tracker, driving recorder, etc. Engineering Samples of Quectel MC90 are available now.